This house had been empty for more than 10 years and was suffering from significant water damage from a leaking roof. The property was raising concerns within the community because of the deteriorating condition. The Council explored a number of options before deciding to compulsorily purchase the property, which resulted in the owner agreeing to sell the property to the Council. The Council sold the house on following a standard competitive tendering process. There were a number of strict conditions about bringing it back into use within a reasonable period of time. All conditions have been met and the keys have been handed over to a first time buyer who completely renovated the property. The compulsory purchase of a property is always a measure of last resort, but where the owner fails to engage with the Council in a constructive matter and previous action has failed to resolve the issue, then compulsory purchase will be considered. This semi-detached property had been in a very poor condition for 20 years and had been the subject of repeated complaints from neighbours. Despite numerous assurances from the owner that works would be completed, the property remained in poor condition. The Council had started compulsory purchase proceeding, but continued to negotiate with the owner. Following full Council approval to instigate compulsory purchase proceedings, the owner decided to sell the property to a local developer, who renovated the property within three months and it now provides a home for a local family. 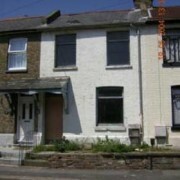 This property was served with a Closing Order in December 1990, which prevented it from being occupied due to its poor condition. It has remained empty ever since. The Council secured ownership of the property through a Compulsory Purchase Order in 2006 and then sold it to a developer on the understanding that it would be renovated to Decent Homes Standard. Works were completed in 2008 and the property let to a family. 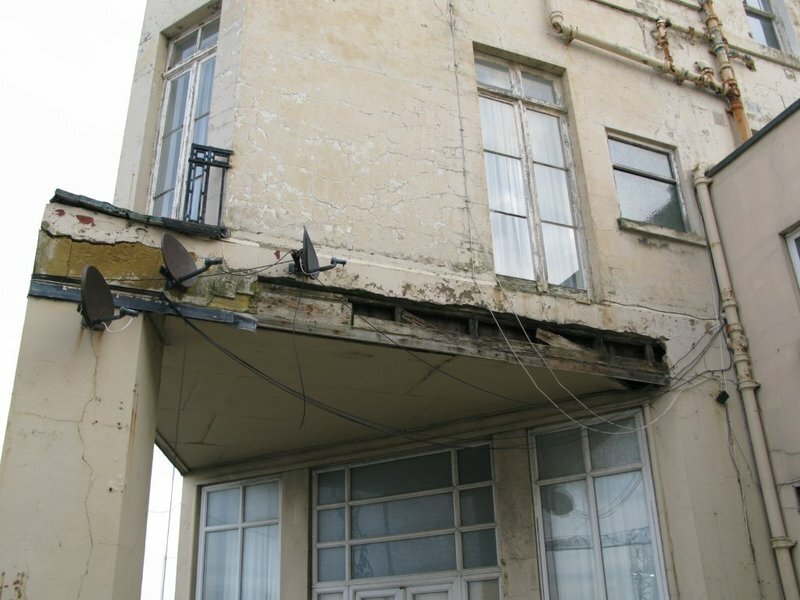 The former Warren Court Hotel in Arthur Road has been one of the key targets of the Council’s empty property initiative, after it became derelict and was the victim of two fires. The property has been a major eyesore and has blighted the local community for a number of years. The Council had previously served a number of statutory notices on the owners, requiring them to carry out remedial works to improve the condition of the property. 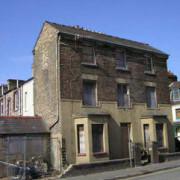 The owners failed to comply with any of the notices, resulting in the Council undertaking some of the works in default. Despite repeated attempts by the Council to engage with the owner to encourage the redevelopment of the site, no planning applications were forth coming. Consequently, due to the condition of the site and the owner’s reluctance to bring forward proposals, the Council offered to purchase the property at market value. 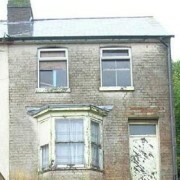 The valuation would have been determined by an Independent RICS Valuer. However, the Company wanted a price that was 5 times greater than its actual value. This was perhaps exacerbated by the fall in the local housing market due to the recent credit crunch, which has had a substantial affect on property values. Consequently, with no reasonable prospect of the condition of the property being resolved, the Council proceeded with Compulsory Purchase (CPO) proceedings under Section 226 Town&Country Planning Act 1990. The owners appealed against the CPO and the matter was referred to a Planning Inquiry for arbitration. Two days before the Planning Inquiry the owners withdrew their appeal and the Compulsory Purchase Order was confirmed by the Secretary of State. However, before it was implemented, the Council was able to reach a voluntary agreement with the owner of the property for them to sell it to the Town and Country Housing Group at market value. The cost of making the Compulsory Purchase Order was funded from Kent County Council’s ‘No Use Empty’ campaign. The ‘No Use Empty’ campaign was set up by Kent County Council in partnership with the 12 District and Borough Councils in Kent. Town and Country Housing Group submitted plans to Thanet District Council last year, which were approved, to build 12 three-bed houses and convert the properties in Arthur Road to eight two-bed flats. The development includes the reinstatement of a terrace, which originally formed the third side of Dalby Square. The scheme of 20 units of affordable housing in the newly designated Conservation Area will bring a much needed improvement to Dalby Square. In addition, Thanet District Council has contributed some land to make the scheme viable. An archaeological dig has already been completed on the site and demolition works have begun to remove the fire-damaged structure behind the façade of the former Warren Court Hotel, which will be retained. The demolition work is expected to continue until the end of June, which will be followed by the building work. The development is expected to open in autumn 2012. Built in the 1880s, it was originally Lilley’s Hotel Arcadian, a 19th century bolt hole for genteel Victorians leaving smog riddenLondon for Margate’s fresh sea air. The Arcadian was subsequently converted into twelve flats. The property had been unoccupied for many years and run down to the point of dereliction, reducing a once iconic building to a major eyesore. Discussions with the freeholder had been ongoing for a number of years, with no real prospects of the project moving forward. 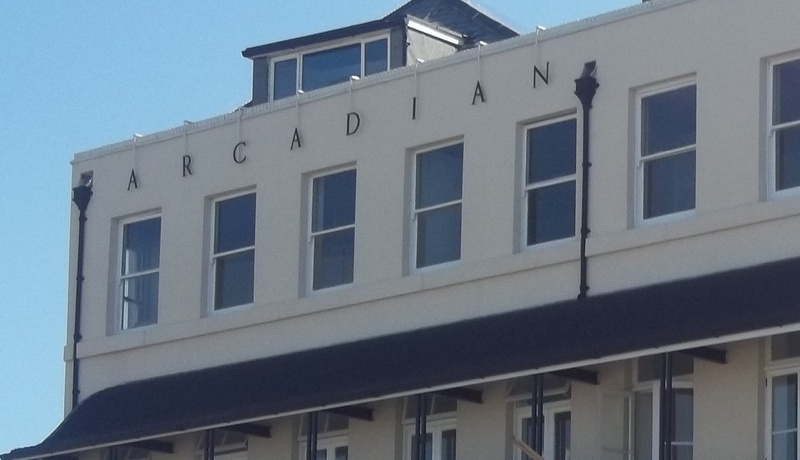 The Arcadian is located directly opposite the proposed new iconic £17 Million, Turner Contemporary gallery. 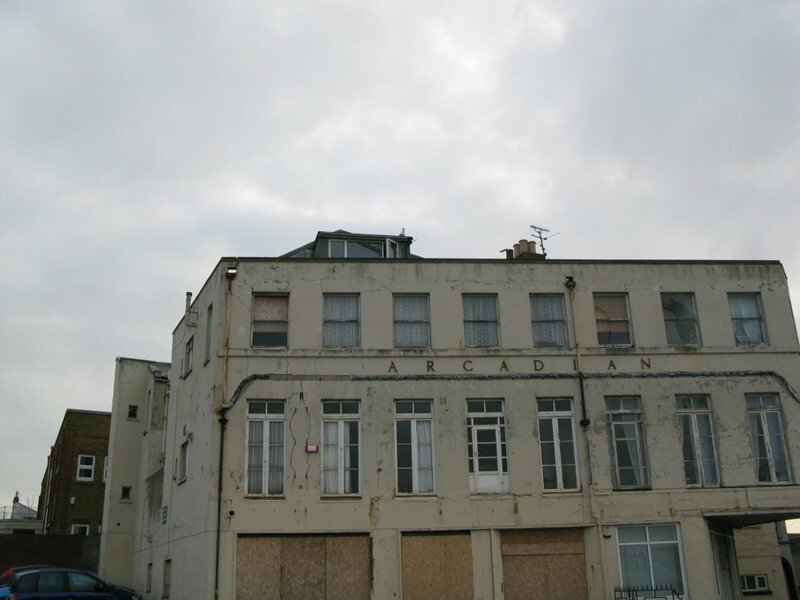 It became a priority for Thanet District Council to deal with the condition of the Arcadian, which was having a negative impact on the surrounding area. 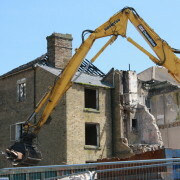 Consequently, Thanet District Council served a notice under Section 215, Town&Country Planning Act 1990, requiring the freeholder to improve the external appearance of the property. The freeholder failed to comply with the terms of the notice and it was clear that without direct intervention by the Council, the property would remain in a poor condition. The freeholder lodged an appeal against the Compulsory Purchase Order (CPO) and the matter was to be dealt with by a Planning Inquiry. Due to the time constraints surrounding the imminent opening of the Turner Contemporary, the Council was not prepared to withdraw the CPO. However, if he was able to acquire all interests in the property, ensure that the current objection against the CPO was withdrawn and carried out those works specified in the Section 215 Notice, then the Council would be prepared to withdraw the CPO. This partnership approach was agreed. The Council secured the CPO, but did not proceed to the General Vesting Declaration (GVD), which would have vested the property into the Councils ownership. Mr Berger, eventually secured all relevant interests on a voluntary basis, with all parties being aware that should there be no agreement, the Council would proceed with the GVD. Mr Berger, then prioritised the external works required by the Section 215 Notice and to be faithful to the Victorian character and history of the building, replicated the Arcadian’s wrought iron balcony and hotel signage. 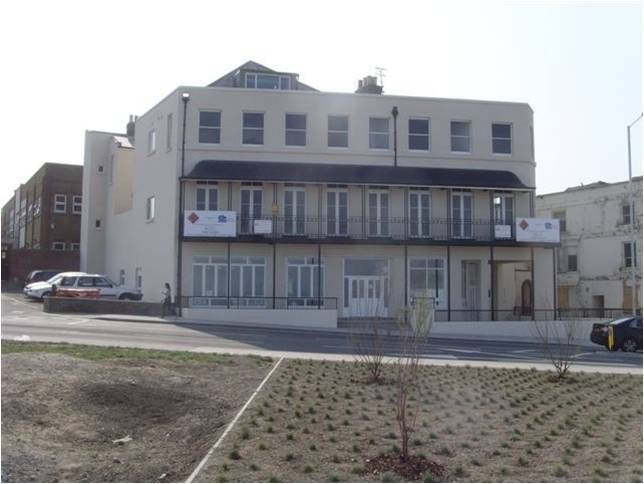 His effort was recognised by the Margate Civic Society, Town Pride Awards 2011. Once the external works had been completed, Mr Berger continued with the comprehensive renovation of the Aracdian. The total development costs for the project was in the order of £1 Million. Kent County Council, through the No Use Empty Initiative was able to provide an interest-free loan of £175,000, with Mr Berger providing the rest of the funding. The project comprising of 14 one and two bedroom apartments, was completed in November 2011. The development carefully replicates The Arcadian’s original wrought iron balcony and hotel signage, meaning the Victorian character of the building is retained. Inside, the well-presented apartments are spacious, with Victorian high ceilings and large, panoramic windows. The internal finish includes hand fitted kitchens and solid wood worktops and some apartments have private balconies. All the apartments have been let, reflecting the high demand for good quality accommodation.